1. 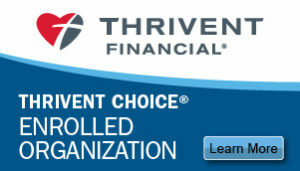 Give Online (US Banks & Credit Cards). Give through our Secure Online Donation platform by clicking here. You can give by Credit Card, Debit Card or Automatic Recurring Withdrawal. 2. Give by Check. (US Checks). 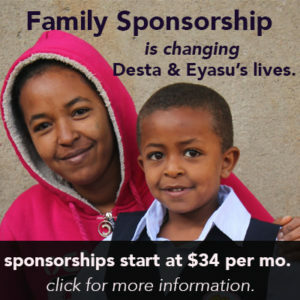 Make your check payable to Embracing Hope and mail to: Embracing Hope Ethiopia, PO Box 433, New Holland, PA 17557. 3. Paypal. Through the Paypal Giving Fund, 100% of your donation reaches us. Our Paypal Giving Page can be found here https://www.paypal.com/fundraiser/charity/122615 Our Paypal email address is donations@EmbracingHopeEthiopia.com. 4. Canadian Donors. Give through our partner ministry Bridges of Hope, registered with Revenue Canada. 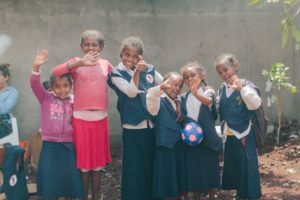 To give online in Canada, Click Here – be sure to indicate your Gift to Embracing Hope Ethiopia. To give by check in Canada, first, please click here to download a form to include with your check. You can make the check payable to Bridges of Hope and send it to Bridges of Hope, PO Box 81 Stn Main, Lethbridge, AB T1J 3Y3 CANADA. All US Donations are 100% Tax Deductible. 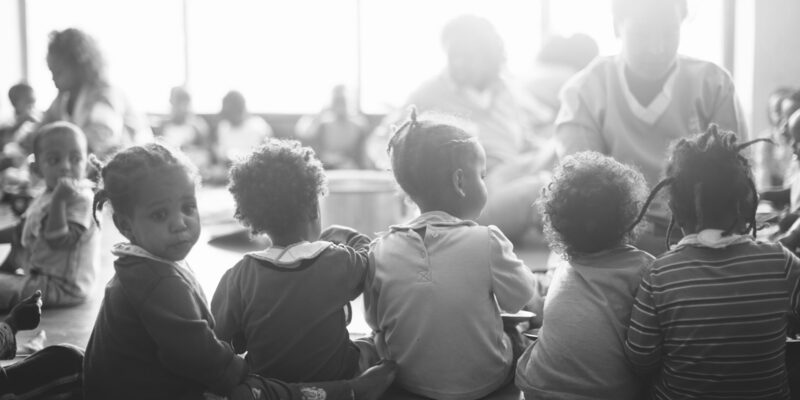 Embracing Hope Ethiopia is a 501c3 Not For Profit registered with the Internal Revenue Service. All Canadian Donations are 100% tax deductible thanks to a partnership with Bridges of Hope, a charity registered with Revenue Canada. A note about our Finances and Accountability. We want to be up front about where our money goes. When you make a donation by credit card, approximately 98% of that amount reaches on the ground here. (The credit card administrator charges us approximately 2%). Our accounts are administrated in the US by friends working part time – thus keeping our administrative costs low. The money that reaches the ground is used to support the projects we are doing. We also want you to know that we see you as a partner in what we are doing – without you we couldn’t be doing what we are doing. So, we promise to try our best to stay in touch along the way through a bi-monthly newsletter as well as other notes along the way. We strive to act in all of our financial matters governed by the principles of simplicity, transparency, stewardship and integrity. We know that every one of our supporters have entrusted us with an investment for The Kingdom of God, and therefore we want to operate in a way that we honor that intention. In Ethiopia, EHE is a Local NGO that is registered by The Federal Democratic Republic of Ethiopia Charities and Societies Agency. EHE maintains strong relationship with local, sub-city, regional and federal levels of government in Ethiopia. EHE must report all physical and financial activities quarterly to the Ethiopian Gov’t for accountability as well as file a yearly audit performed by an independent, licensed Ethiopian CPA. EHE also is licensed by the FDRE Ministry of Education for the EHE School. EHE Spiritual Ministry is licensed by the FDRE Ministry of Federal Affairs and must be audited yearly for all physical and financial activities by an independent licensed Ethiopian CPA. Embracing Hope Ethiopia is registered with the Internal Revenue Service as a 501c3, Not For Profit organization. All donations are tax-deductible. We also are incorporated in the State of Pennsylvania and are registered with the Pennsylvania Bureau of Charities, as well as the Charities Division in a number of other states. A yearly Financial Review is performed by an independent audit firm in Lancaster County, PA.
To read our 2017 – 2018 Fiscal Year Annual Report click here. To read our 2016 – 2017 Fiscal Year Annual Report click here. To read our 2015 – 2016 Fiscal Year Annual Report click here. To read our 2014 – 2015 Fiscal Year Annual Report click here. To read our 2013 – 2014 Fiscal Year Annual Report click here. To read our 2012 – 2013 Fiscal Year Annual Report click here. If you have any questions, please contact us at info@EmbracingHopeEthiopia.com . Thank you for your generous support of our work. We appreciate your partnership and your generosity!